Are there any birds whose legs fold the same way human legs do, in a knee, instead of an elbow which is what all the birds I know have? The joint you are thinking of is not a knee, nor is it an elbow, instead it is an ankle which is bending the same way as us humans. 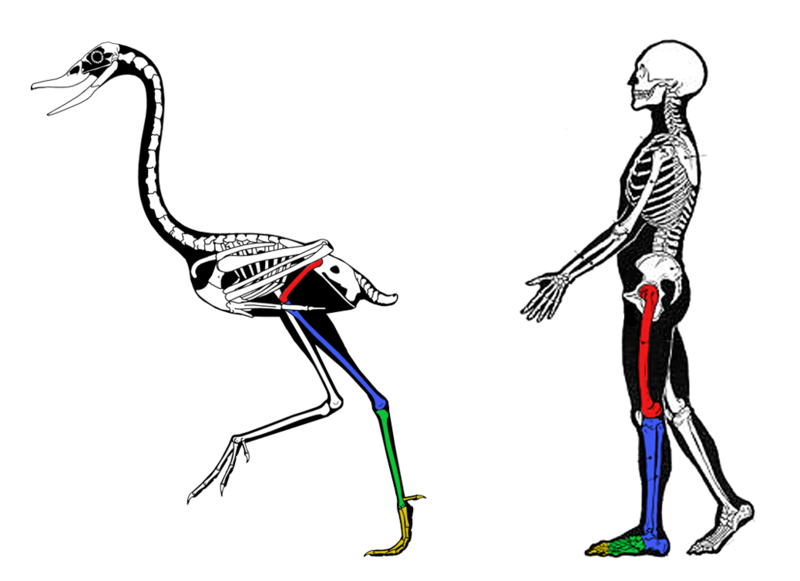 You can see from the below diagram that the knee - the joint between the femur and tibia - is just further up the leg normally hidden by feathers. To follow up there appears to be no animals whose ankles bend the "wrong" way. Not the answer you're looking for? Browse other questions tagged ornithology joints or ask your own question. Why are there no marine birds?